Over 40 trade unions, social movements and political parties met here in Lahore on 25th November in a PTCL workers solidarity multi party conference. They demanded an immediate withdrawal of criminal cases against PTCL workers leaders including the cases under terrorist laws. It was reported in the conference that 13 trade unions activists in different part of Punjab are facing anti terrorist charges and their crime was to raise voices for wage increase. There is growing trend in Punjab to use anti terrorist laws against trade unions and political activists. The Multi Party Conference was organized jointly by Anti Privatization Alliance, National Trade Union Federation and Labour Education Foundation at Hotel Ambassador Lahore. The 11 political parties and groups who attended the conference include Tehreek Insaaf, Workers Party Pakistan, National Awami Party, Labour Party Pakistan, Pakistan Trade Unions Defense campaign, Istiqlal Party, Communist Mazdoor Kissan party, Pakistan Mazdoor Mahaz, Socialist Inqilabi Tehreek and Tehreek Istiqlal. All the six main trade unions representing telecommunication workers in PTCL participated in the conference along with 20 more trade unions. The conference demanded an immediate restoration of over 600 telecommunication workers who are suspended or terminated because they demanded the wage increase for all the 26000 communication workers. It was agreed to launch a solidarity campaign for the PTCL workers unions. On 2nd December, there will be first public meeting at Shimla Pehari Chouck at 2pm in Lahore. 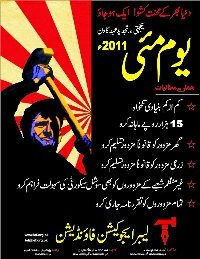 Hundreds of PTCL workers and political and social activists will join hand to demand an end of terror regime at PTCL. Several political parties and trade unions assured the participants of the conference that they will be coming to this public meeting on 2nd December. Similar actions will also be organized in other cities. The conference also supported a resolution to demand an audit of the PTCL since privatization in 2005. It demanded renationalization of PTCL. The speakers told the conference that the privatization has been a complete failure. There were 77000 workers at PTCL in 2005 when it was privatized, now only 26000 left within five years of the privatization. It has been a loss to the public and the employees as a whole. The privatization process must end. 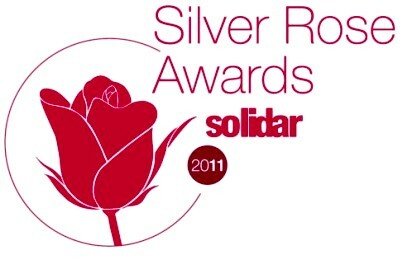 It was decided to to reorganize the Anti Privatization Alliance and to launch a campaign against privatization.